The Little Round Table: Pucker Up, Again! 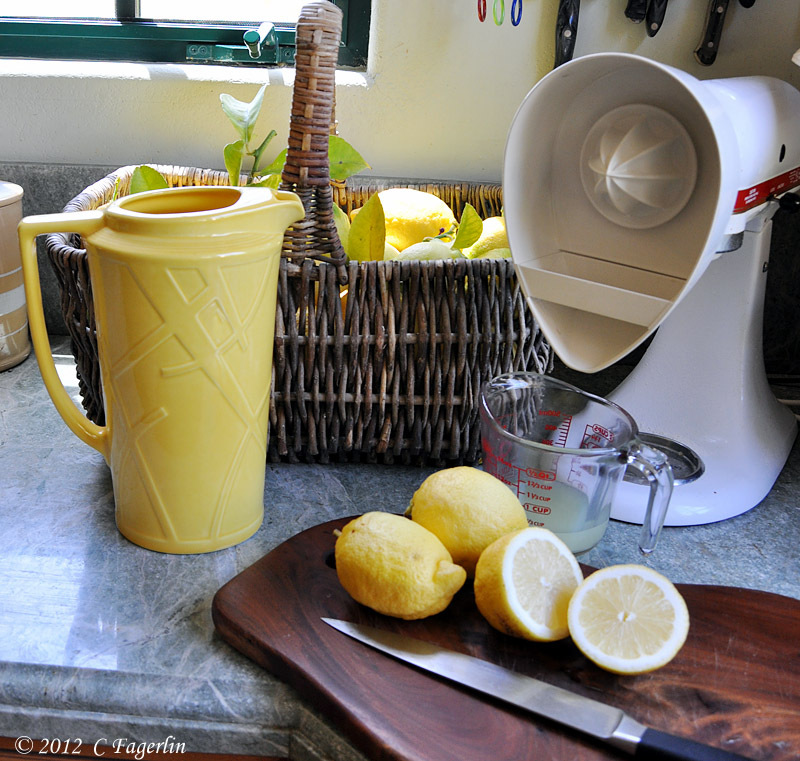 This basket of lemons yielded 16 CUPS of fresh lemon juice. I wish I had some "RIGHT NOW"!!! Your pitcher is GORGEOUS!!!! 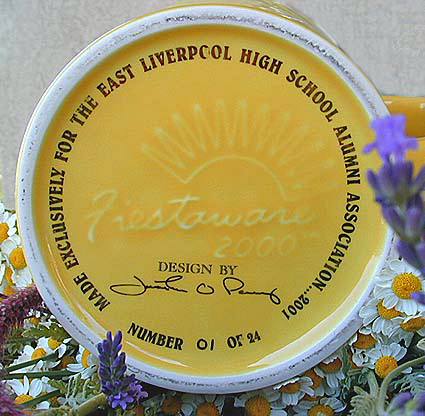 I bought my VERY VERY first fiestaware this week... I bought 6 different color cups... I sent you a little "ESP" as I picked them up and brought them home. Hubby and I had our evening coffee in the color of our choice. I used the COBALT BLUE and He used the PUMPKIN COLOR... They are SUCH FUN and It's because of your inspiration I have them...Thank you! 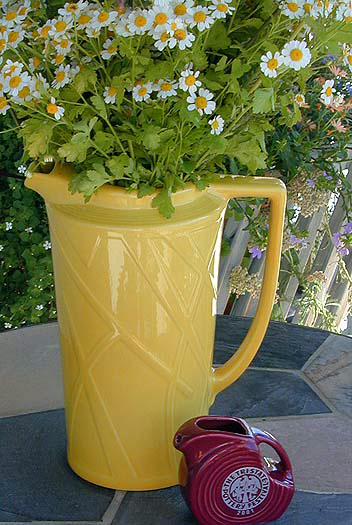 I want that pitcher, I love it and that is my color! Thinking of those lemons and my pucker up factor, huge! Thanks ladies and welcome to the faily Donna! Such fun dishes. 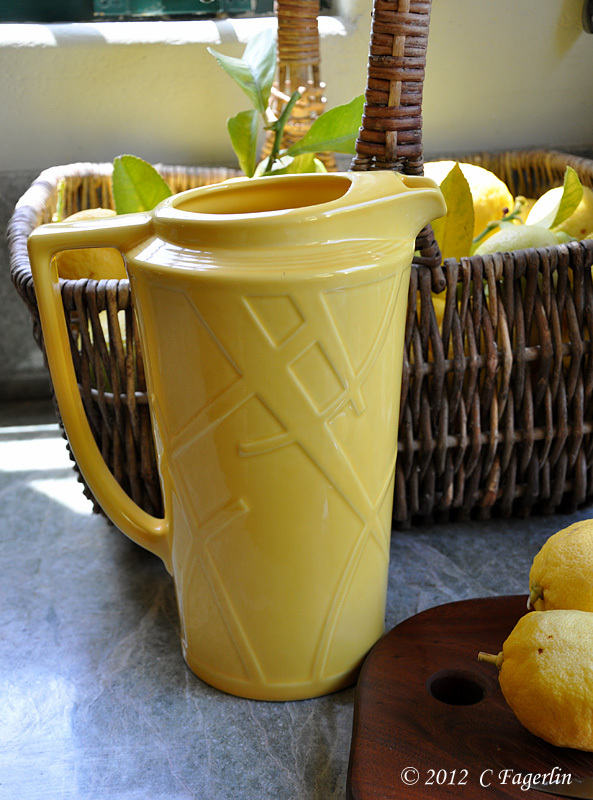 The pitcher is a favorite piece and was designed shortly before Jonathan Parry the designer and art director at HLC passed away. Mary it wasn't for a class reunion, special items are made by Homer Laughlin and other potteries each year for a special auction to benefit deserving students. Beautiful pitcher and special since it was stamped for a special group.